Motorhome vs Travel Trailer vs Tiny Home – Which is Right for You? In the market for an RV of your very own? 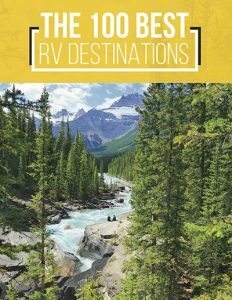 If you’ve been looking for more than a split second, you’ve doubtless discovered that shopping for an RV is anything but simple. As with anything else, you face the challenge of figuring out which manufacturer and make is the best, scoping out a reputable dealer (or a trustworthy private owner), and, of course, finding an appropriate price for your budget. But before you get into any of that stuff, you have an even bigger, but more basic, problem on your hands. What kind of RV is right for you in the first place? Class As, Class Cs, sleeper vans… heck, nowadays, even tiny homes are on the table when you’re searching for a wheeled domicile. And although they all share a few basic traits in common — namely, they’re built to minimize space while maximizing mobility and convenience. But past that, many RVs are a whole lot more different than they are similar. And which type is right for you will totally depend on your personal preferences and travel situation. So, ready to get informed about the different styles of RV on the market and learn more about which one might be right for you? Here are the pros and cons of several of the most popular RV types. No matter which type of RV you’re considering, there are benefits that are unique to traveling in a camper. But the specifics change a lot depending on your model! Here are a few of the most common types of RV you’ll find on the market. Large and in charge, these motorhomes might be what pops into mind when you think of a movie star’s tour bus. And indeed, they’re some of the most luxurious and well-appointed RVs on the marketplace. Class A motorhomes can sleep up to eight or even 10 passengers, and they usually include a fully-functioning kitchen, full-sized bathroom, and many have slide-outs to increase their interior space while parked. They can be up to 45 feet long, and sometimes even longer, and often include convenient extras like automatic stabilizing systems and outdoor entertainment setups. However, they can also be incredibly expensive — as in upwards of $500,000 — and their associated costs don’t end there. Class A motorhomes have the dubious distinction of being some of the least fuel-efficient vehicles on the road; some of them get as few as six miles to the gallon! So if you’re tempted to buy a Class A, make sure you’ve got some extra pennies saved up for fuel. Class A motorhomes make great campers for big families or smaller parties who insist on only the best when they travel. But if you’re just looking for a convenient way to take a private weekend getaway, all that expense might be overkill. Also known as sleeper vans, Class B motorhomes are a great option if interior space isn’t very important to you. For instance, if you’re a rock climber and you know you’ll spend most of your trip outdoors anyway, it doesn’t matter if you only have a few square feet of living room! And although they’re small, Class B motorhomes are surprisingly comfortable and livable. Most include functioning kitchenettes and toilet facilities, as well as comfortable sleeping surfaces. Finally, their small size means they get better fuel mileage… and they can also fit down narrow or unkempt roads that might thwart their larger Class A and Class C cousins. Of course, if you’ve got a big family or you happen to have a few rainy days, a tiny sleeper van can get pretty claustrophobic pretty quickly! If Class A motorhomes are too big and Class B motorhomes are too little, Class C motorhomes are the Goldilocks RV: They’re juuuuust right. Class C motorhomes share many of the same comforts and amenities as their larger Class A counterparts, but they’re smaller and also easier to drive since they’re built into regular pickup truck chassis. While they’re not great at fuel efficiency, they tend to do better than Class As at 8-14 miles per gallon. And while super-pricey luxury versions are available, most are much more affordable, making them a family favorite. Ah, now here’s where things get interesting. What are the main differences between a motorhome, which is self-powered, and a towable rig? Also keep in mind that travel trailers themselves are a broad category, including massive fifth wheel trailers and tiny pop-up campers as well as toy haulers and mid-sized travel trailers. So if you decide you prefer a trailer vs a motorhome, it’s worthwhile to do even more research before you buy one. You’ve probably heard the buzz about these unique alternatives to RVs — tiny houses on wheels, which are, just as their name implies, built just the same as full-sized houses, but tiny. These are adorable, of course, and a great option if you want your home to look like a traditional home while still maintaining some mobility. But you should know that they’re not that cheap unless you build them yourself, which takes a massive amount of work (not to mention skill). Also, they’re not actually all that easy to move; many tiny home owners report breakages and problems every time they take their house on the road. So if you’re really looking to travel far and frequently, a tiny house might not be a great option for you. No matter what kind of RV you buy, you should know that some RV issues are basically universal. For instance, water damage is such a common problem, it’s basically a foregone conclusion that you’ll have to deal with it at some point. Although you should be prepared to spend some money on repairs no matter how well you keep your RV, you can minimize the possibility of serious issues by regularly checking for water damage and keeping up with a preventative maintenance schedule. 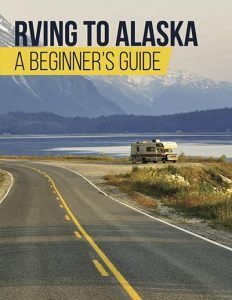 Finally, no matter what kind of RV you buy — or even if you’re just scoping out your next RV rental — you should know that living in a motorhome has its ups and downs, too. RV travel experiences are usually awesome, but the road is unpredictable and accidents can happen. You might find yourself on the side of the road with a flat tire or arrive at your campground only to discover they forgot to book you in and there’s no room. Luckily, campers make an incredible community, so even when things go wrong, you’ll never be far from a helping hand. We here at RVshare are part of that, too — and we’re happy to help you every step of the way on your RV journey!